We’ve become quite used to various prochoice groups in Ireland chanting their slogan “repeal the 8th” as if it were a mantra for a new, enlightened time rather than a means to erase the basic right to life of an entire group of human beings from our Constitution. But recent events have shown a new, sinister development – the emergence of external groups who are trying to influence the Irish Government on whether or not to hold a referendum on abortion. The bottom line is that the UN Human Rights Committee is more and more becoming a parody of a group that is genuine about its commitment to the protection of human beings. It no longer speaks from a strong foundation of human rights protection. 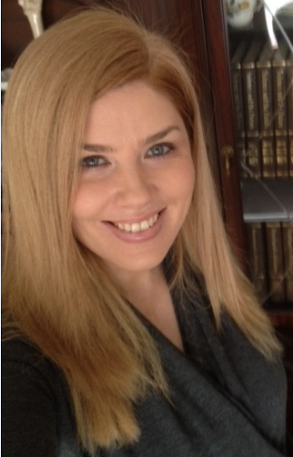 The Irish Government should not feel pressured to adhere to its commandments. 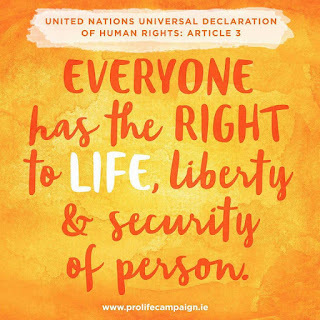 Yes, it’s true that we signed up to the ICCPR but we didn’t sign up to be beaten into submission on the issue of protecting the right to life of unborn human beings by a group that no longer respects the intrinsic dignity and worth of every human being living in our society. Let’s move on to look at the group that helped this complaint make its way to the UNHRC – the Centre for Reproductive Rights (CRR). This is a global abortion lobby group. The only reason for its existence is to introduce abortion where no abortion takes place. Its website even has an interactive map highlighting how far individual countries have “progressed” towards the CRR’s ultimate goal of unrestricted abortion (Ireland is coloured "red", presumably because we're not playing ball). It goes without saying that the Irish Government should not be swayed or influenced by this international, well-funded and focused lobby group. 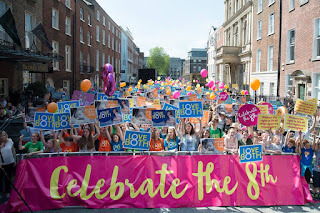 But the fact remains that the CRR was in Dublin last week, supported by a number of prochoice groups as it pushed forward with its global agenda and causing a media frenzy that continued for several days. Why should we, the Irish public, care about the intentions of a foreign abortion lobby group that acts in this way, helping to bring a complaint to the UNHRC against the Irish Constitution? The answer of course is that we shouldn’t. Just as we shouldn’t care about the interference of the UNHRC which produced a report that resulted in an appalling criticism of matters that have been decided by the Irish public. 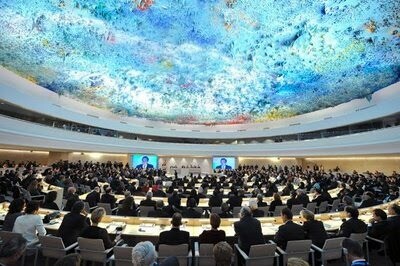 In an even more brazen attack on our right to decide such sensitive matters for ourselves, the UNHRC produced a “Questions and Answers” session on its website, presumably to reassure anyone in Ireland who might feel a bit uncomfortable about being told that we have to give up on this wild notion we have that human lives shouldn’t be ended – even when a “Human Rights Committee” tells us otherwise. When asked whether the UNHRC were “telling Ireland to introduce abortion”, one of the Committee members, Sarah Cleveland said that “with respect to the Irish electorate”, the Committee had been presented with different perspectives on the opinions of the Irish public. But here’s the problem – the UNHRC seems to have forgotten that it’s the Irish electorate who decides the laws of this country. Not the UNHRC. Not the CRR. And these comments, not to mention the entire report, show a complete disregard for the will of the People when it concerns the protection of unborn human beings, enshrined in the Constitution. We’re relegated into the place of second class citizens behind these groups that claim to tell us how to protect human rights in our country. Luckily in Ireland, we’ve known this for some time. Since 1983 to be exact, when we took steps to acknowledge the rights of vulnerable human beings in Irish society and enshrined the 8th Amendment in the Constitution. It is now vital that the Irish Government remembers the importance of this act and stands firm against any attempts to initiate a referendum, particularly those that originate outside the State from international lobby groups or UN Committees that are human rights protectors in name only. To listen to some abortion advocates over the past few days, you would be forgiven for thinking that we were dealing with a court with full jurisdiction and authority over Ireland. This is not the case. The UN Human Rights Committee (HRC) is simply that – a Committee. 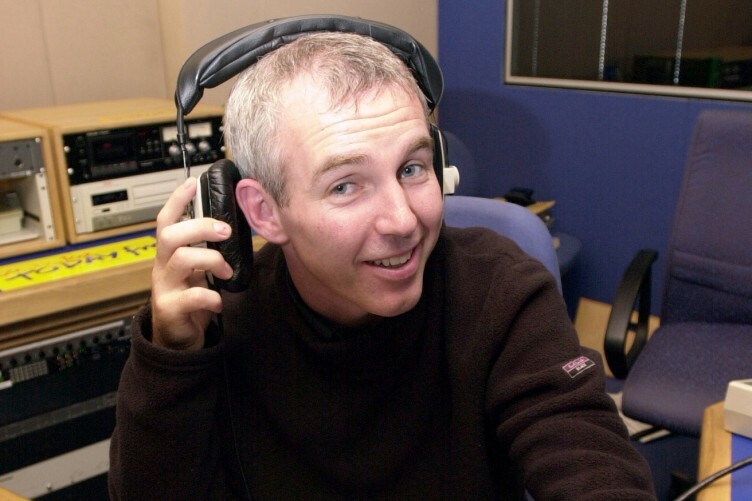 It does not have the right to impose its views on Ireland. The Committee came to its conclusion based on its interpretation of the International Covenant on Civil and Political Rights (ICCPR), and specifically Article 7. That provides that “no-one shall be subjected to torture or to cruel, inhuman or degrading treatment”. This is the headline which is receiving blanket coverage in the Irish media and is being used by abortion advocates to push the case for a referendum to remove the 8th Amendment which guarantees that unborn babies have an equal right to life under Irish law. There are two important points to be borne in mind. This happened to 66 babies in one year alone according to official records in England and Wales. It happened to over 400 babies in Canada over a 10 year period. This type of inhumane treatment of newborn babies amounts to “torture or to cruel, inhuman or degrading treatment” by anyone’s reckoning – except maybe the HRC. They have certainly never publicly challenged this practice. They have never criticised the countries that have allowed this horrific abuse to take place. They have simply stayed silent. Silent too has been Amnesty International, who were once a watchdog for all those who threatened the rights of human beings. Instead, they have fallen in line with a twisted notion of “human rights” which allows international bodies to push for laws that will allow lives to be ended. 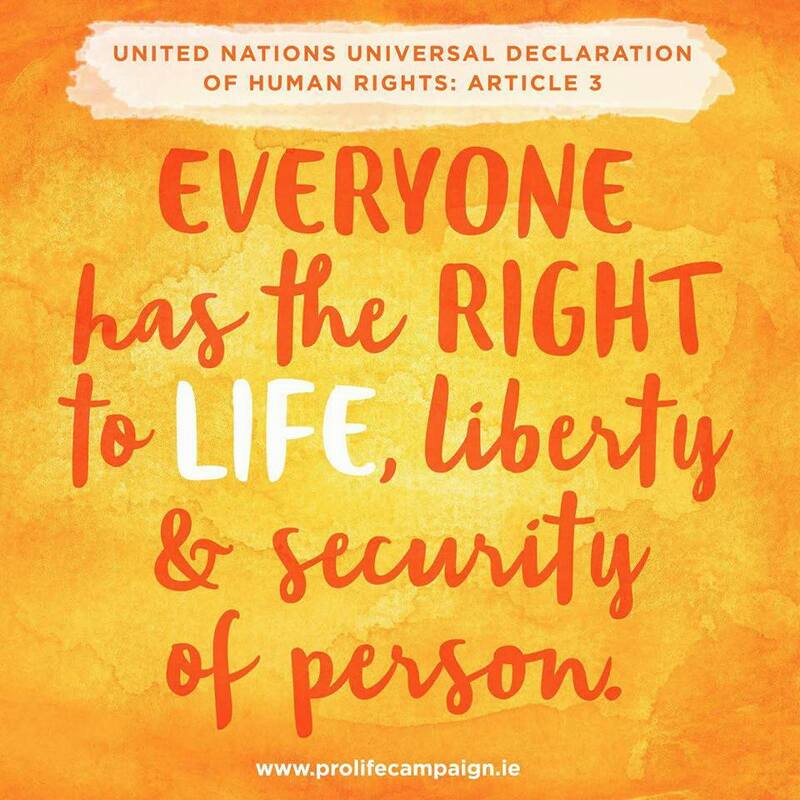 This is a very strong statement of the right to life of “every human being”, and one that doesn’t distinguish between “born” and “unborn” human beings. Article 6.5 provides for the death penalty to be imposed on some individuals but notes that it is not to be carried out on pregnant women. Regardless of how you feel about the death penalty (and I oppose it), anyone reading this section of the ICCPR will see that its authors made a distinction between pregnant women, and non-pregnant women. They recognised that there was another human being involved – an unborn baby who could not have taken part in any crime and who should not have their life ended via the death penalty. 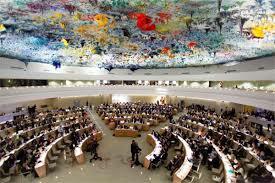 Yesterday’s comments prove just how far the HRC have drifted from genuine human rights. Their viewpoint is so narrow that they have completely ignored the Article in the ICCPR which highlights the most basic human right, the right to life. The unborn baby doesn’t even get a look in. His or her rights are completely ignored. There is no attempt to acknowledge the fact that a pregnant woman and her baby are two individuals who are each entitled to rights under the law. The Irish Constitution doesn’t have this kind of narrow focus. 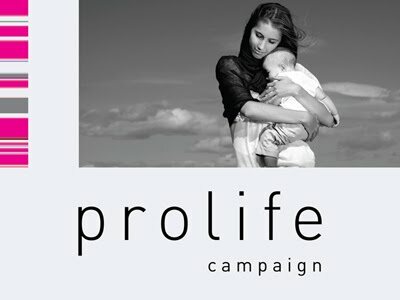 Thanks to the 8th Amendment, it protects the lives of all human beings in Ireland. In that sense, it is far more in line with the true intention of the ICCPR and what should be the goal of international human rights protection the world over – protecting the lives of every human being, born and unborn. It’s a sad state of affairs when this kind of positive protection is criticised by a Committee claiming to speak out for human rights. 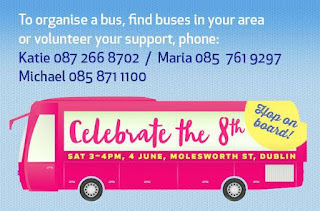 The 8th Amendment ensures the equal right to life and importance of all Irish citizens – both the life of the mother and the life of her baby. I have listened very carefully to the testimonies of Irish women who face a crisis pregnancy and I believe we need to work far harder to find better and more civilised ways to respect and understand their circumstances and concerns in this difficult situation. Despite all of the conversation and debate surrounding the 8th Amendment, the only government report commissioned to identify the factors which contribute to the incidence of unwanted pregnancies and the issues which resulted in women choosing the option of abortion was in 1995 (Women and Crisis Pregnancy Mahon, Conlon and Dillion). We need a new report and we need a truly enhanced and sincere pro-women environment where women don’t feel like they have no other choice than the option of abortion. I care about women’s rights very deeply and it is my view that women should not have to decide between having their baby or finishing college; having their baby or choosing their career; having a baby or paying unaffordable childcare costs. I find it deeply disturbing that should a women experience regret, distress or physical side effects following this procedure, such as preterm birth in her next pregnancy; she is told that it is her fault. She is told that she either has a severe mental illness, she was coerced into the procedure by someone else or she had a negative attitude to abortion to begin with. No accountability is taken by those who carried out the abortion even if the procedure results in her dying in the back of a taxi. Liberalising abortion does not solve the underlying issue, it merely masks it and in my view, women deserve better than this. We have shown the world that we are a humane society which stands up for the rights of every individual, especially minority groups. 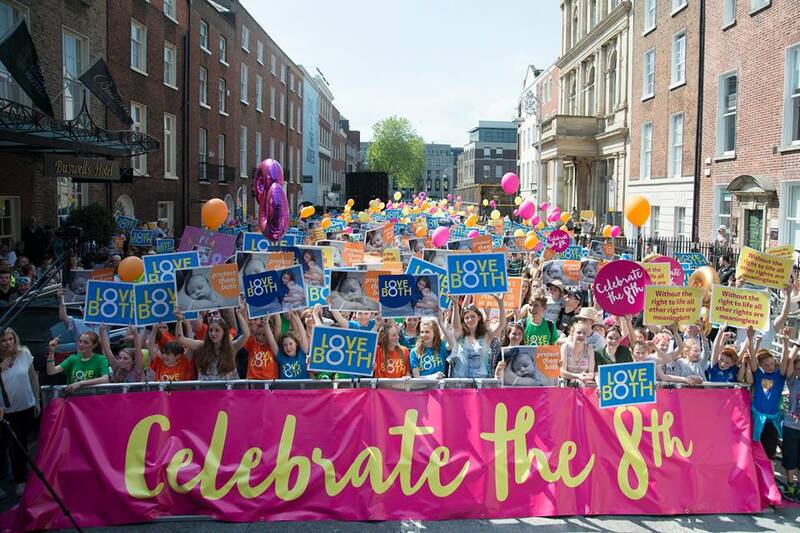 The 8th Amendment is a proof point of this as it ensures that each human being in any Irish hospital is given equal medical care and goodwill regardless of their health, their ability and their gender. This is not the case in many countries where children who have been given a diagnosis before they are born of potentially having a life limiting condition, a disability or they are simply identified as being female. Whether they are allowed to be born is something which will be decided upon at the discretion of another. We cannot deny the devastating effects that this would have on our society should we repeal the 8th Amendment and liberalise abortion. We only have to look to other countries to see the devastation that abortion wreaks on human dignity. One in every four human lives are ended in England and Wales before they’ve had a chance to be born. Denmark has set itself a goal to be Down Syndrome free by 2030 and over 160 million baby girls are aborted in countries and cultures where baby boys are revered more highly than baby girls. To infer that abortion can be restricted is misleading for many reasons. One example of this is the interpretation of wording e.g. in England and Wales, a cleft palate and club foot are deemed “severe disability” and therefore any baby diagnosed with those conditions can be aborted right up until birth. I am in favour of choice…but I don’t know any human being that would choose the ending of their own lives, often times very violently, at someone else’s discretion. So if we wouldn’t choose it for ourselves, then why choose it on behalf of the smallest, youngest most vulnerable in our society? The unborn don’t have a voice, they’re too small. 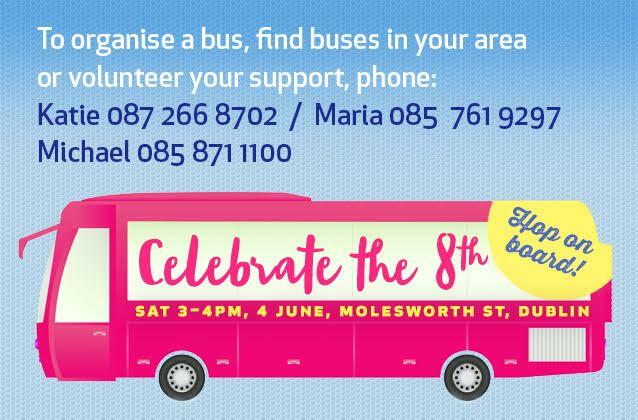 They need yours and they need the protection of the constitution and it is for this reason that I’m going to be there on June 4th to help celebrate the 8th Amendment and find out how I can use my talents to help protect this life-saving provision. 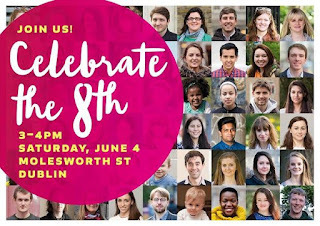 All those coming along to Celebrate the 8th on June 4th have a real treat in store. Among the guest speakers is Heidi Crowter who is coming to us from Coventry to share her thoughts on the need to protect and guard the human dignity of every human being. Heidi is a disability rights activist who hasn’t allowed Down’s Syndrome to dictate how she lives her life. She first came to public attention when she became the target of internet trolls and was featured on the BBC, Daily Mail and other media outlets as she worked with the authorities to help gain control of this serious and ongoing issue. She then became involved with the “Don’t Screen Us Out” campaign in England to oppose the introduction of a new screening test of Down’s Syndrome which, if introduced, is expected to result in a profound reduction in the number of children born with Down’s Syndrome. The campaign, which garnered the support of actors, politicians and other public figures, led to Heidi being invited to make a speech outside Westminster in April 2016. A video of Heidi’s speech went viral on Facebook as a result. We are so lucky to be able to welcome Heidi and her mum Liz to the Celebrate the 8th event. 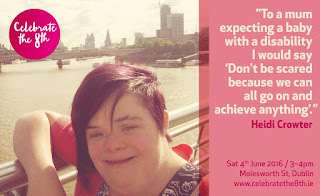 Heidi continues to smash stigmas for people with Down’s Syndrome, living an independent life and working as a hairdresser. 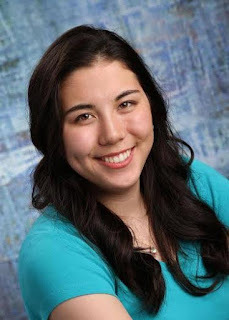 She has a unique and very personal reason for opposing attempts to target vulnerable children in the womb and her testimony at Celebrate the 8th is sure to be one of the highlights of the day. Make sure you don’t miss out on this incredible event which will change the fact the abortion debate in Ireland. 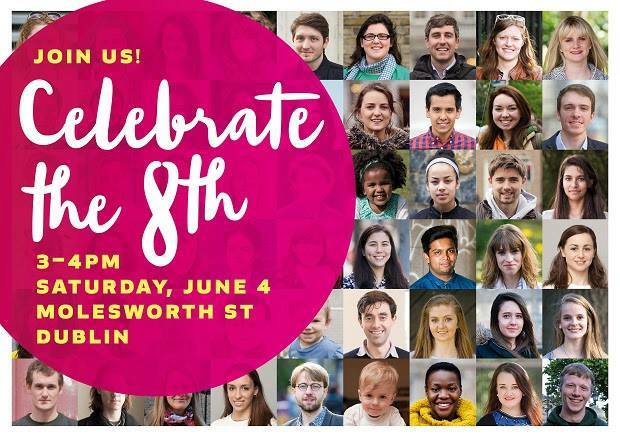 Be there on Molesworth Street on Saturday, 4th June from 3-4pm and find out why we need to retain the life-saving 8th Amendment which guarantees the equal right to life of every precious human being in our society.